History and great design inspire us. When Edmonton’s first skyscraper opened in 1966, it was the tallest in Western Canada. The tower was Canadian National Railway’s downtown station. Cross-Canada trains rolled in below the main floor, letting passengers disembark in comfort, no matter what the temperature outdoors. We like knowing that Allan Fleming’s prestigious logo sits like a beacon on our rooftop. 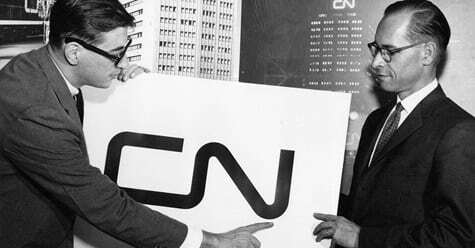 The visual identity—a railway line that happens to spell CN—is one of the top corporate logos of all time. Any serious graphic designer has explored the CN brand.